fun and colorful Doodlebug Offices looked like?? Well here's a sneak peek. 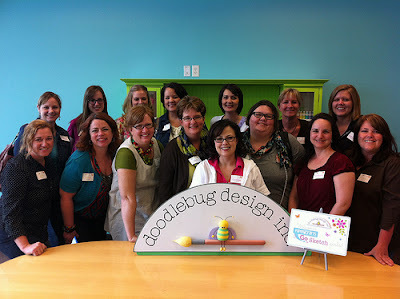 If ever there was a company that looked like their product line inside and out it is the amazing Doodlebug! We thought it would be fun to have all of you help us PIN the fun picture above to Pinterest. You can do it using your own PIN IT button on your browser or the one below this post. 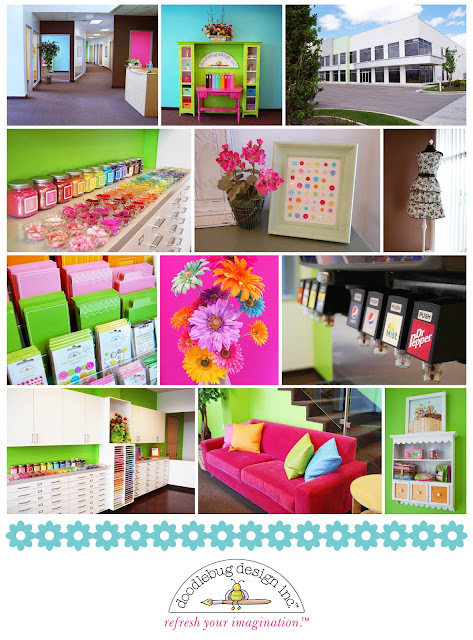 In the description, be sure to put "Doodlebug's Colorful Offices" and you'll be entered to win. You can also Repin it by finding one with the same description above and "repining" it. Create-A-Cards all as unique and creative as they all are!! 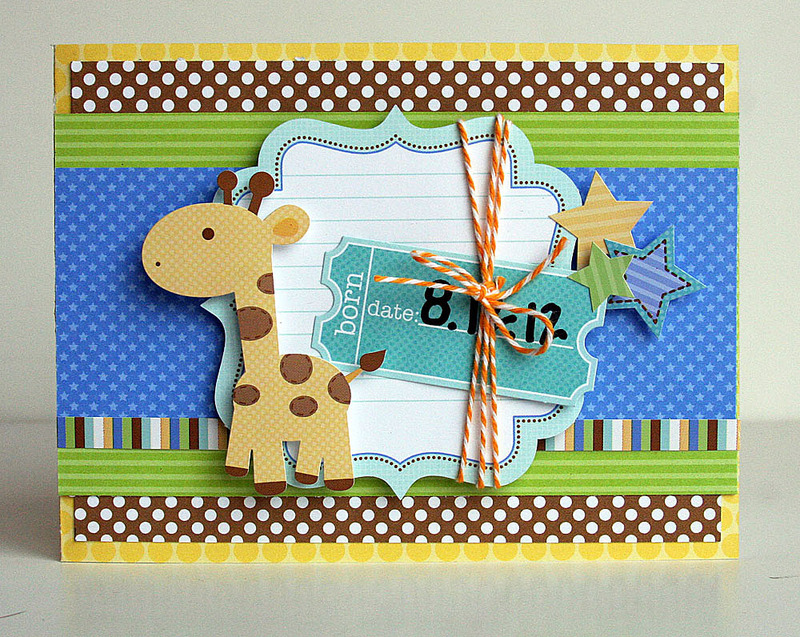 Be sure to check out the fun pictures they posted on the Paper Crafts blog of the adorable cards they each created. Thanks for stopping by girls...it was fun and we loved having you!! 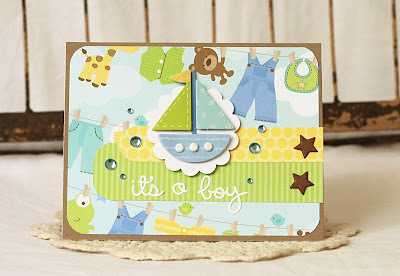 Hi everyone, it's Laurel Seabrook and I am so excited to be guest designing here on the Doodlebug blog. I was given the Sugar & Spice Collection to play with and I LOVE this collection! The prints, patterns and colors are so fun to play with. I also love that the back sides of the papers can be used for little girls as well. I love going to garage sales to find things that I can upcycle inexpensively to give as gifts. A friend of mine has just had a baby girl so I have created a collection of nursery decor items for you today. For all projects I base-coated them first in white paint and then went to work altering them. First up, I have had this frame for awhile now and this was the perfect project for it. 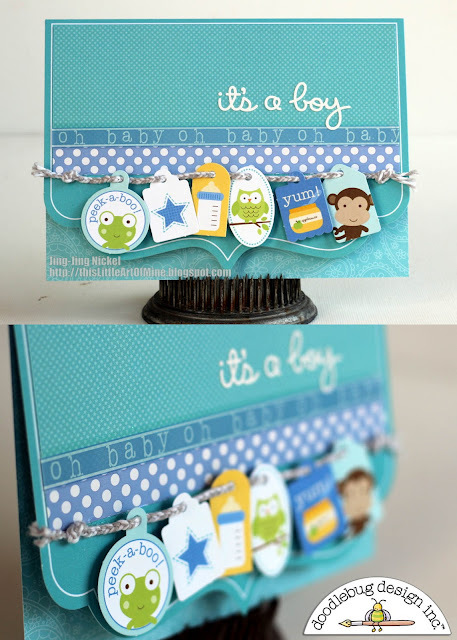 Finally, I have used the 6 x 6 pad to create some baby cards. I want to thank Doodlebug for having me as a Guest, I really enjoyed working with these fabulous products! We love having great designers stop by and show us what inspiring things they can create with the Doodlebug products. We'd love to give away a box of assorted Doodlebug goodies to a lucky winner. It's simple, all you have to do is go check out Laurel Seabrook's blog, leave a comment there and then leave a comment here telling us you completed it. We'll announce a winner on Monday morning!! 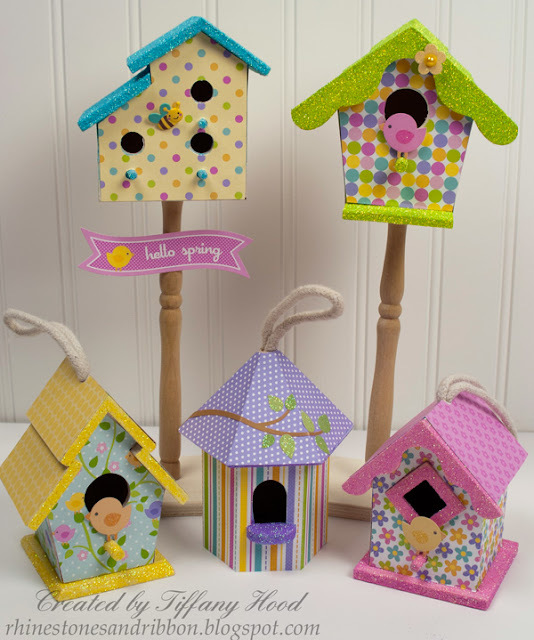 These birdhouses were inspired by the Hello Spring collection, which is full of darling birds, birdhouses, and spring designs. 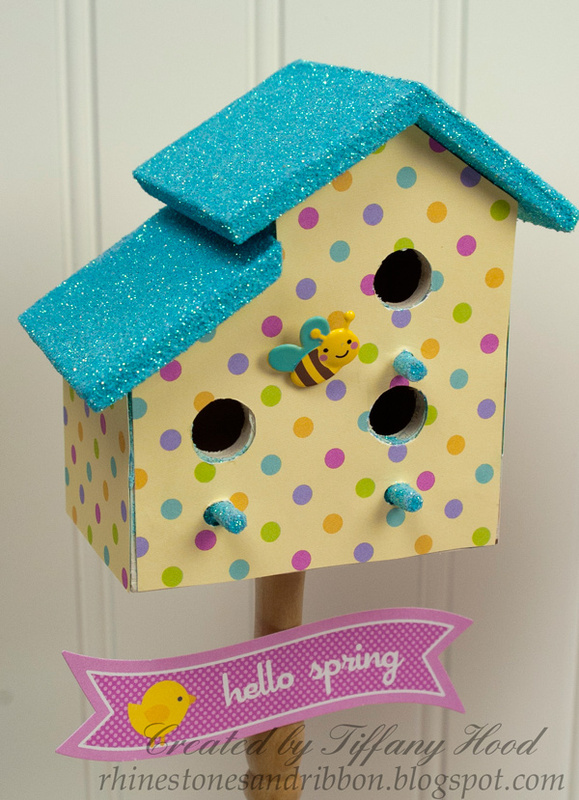 I found these wood birdhouses at the craft store and decided to use the Hello Spring collection as well as Doodlebug's glitter, brads, and stickers to embellish them to make cute home decor for spring! Visit my blog today. 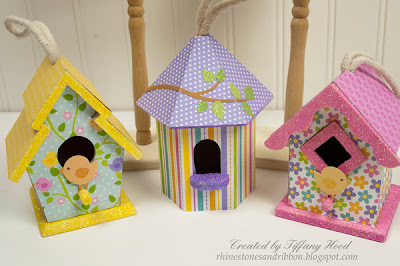 I'll have a tutorial on my blog showing what the birdhouses looked like before and how I did the glitter. Hi there! It's Jessy here again. Lately I have a fetish for bow tie and mustache. I'm seeing these everywhere!! That totally inspired me to create an altered frame. 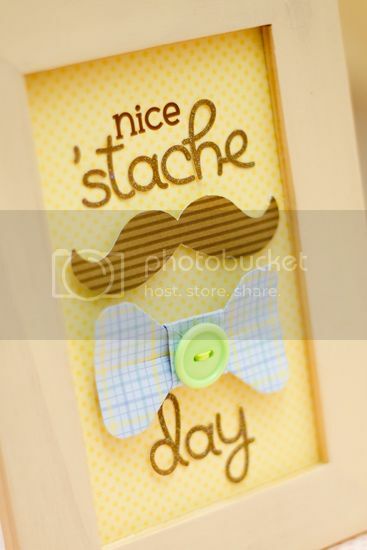 This will be perfect for home decor, for a 'stache birthday theme or a gift to cheer up your man! So I am here to show you a simple tutorial on an altered frame I created. The assembling of the frame is pretty easy to do. 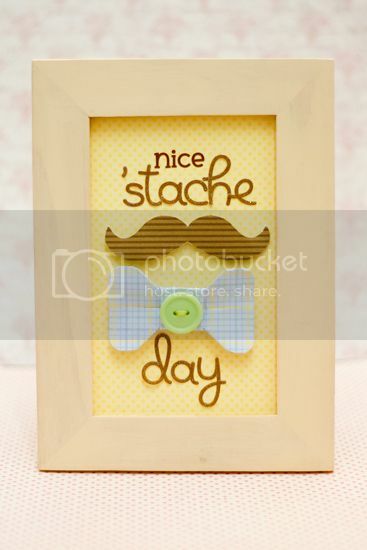 The mustache I cut it using my Cameo but you can always print the image onto the patterned paper and cut. All you need is a frame, alphabet stickers (candy shoppe), rub on (jack & jill), Snips & Snails: 6x6 paper pad + button. 1. 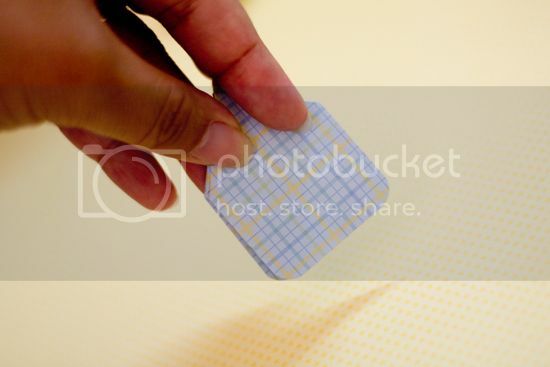 First, cut the paper to these measurements: 4"x1.5". Round the corners if you wish. 3. 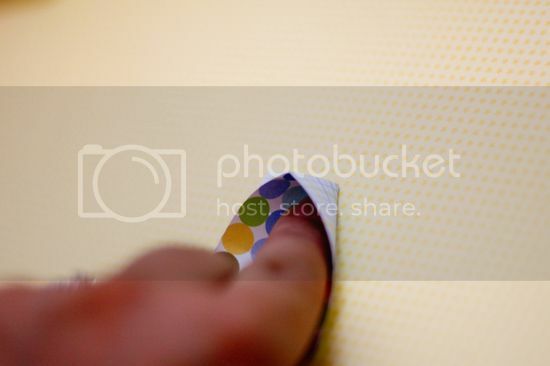 Now, you will need to create a space by inserting a finger into the fold. 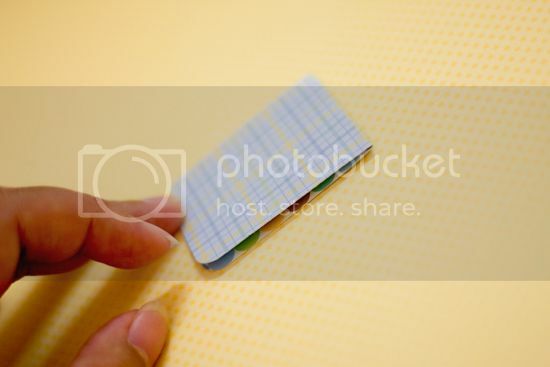 Push the paper down as shown and crease it. Do it for both sides. 4. 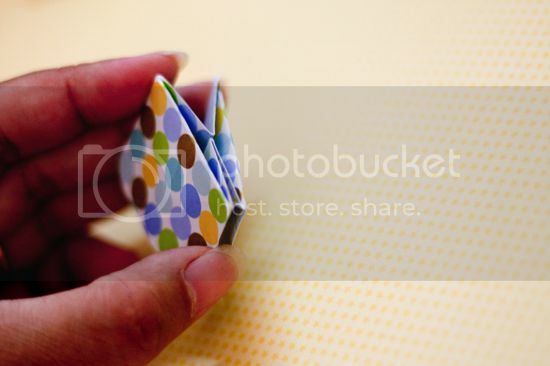 Once you are done, open up the fold as shown. 5. 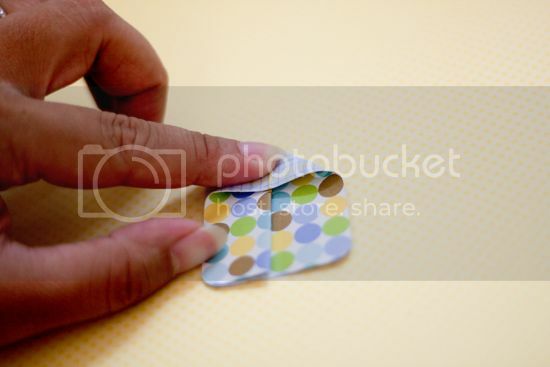 Then, flip the bottom to the top and crease it at the line. Do it for both sides. 6. Here's what it will look like. 7. 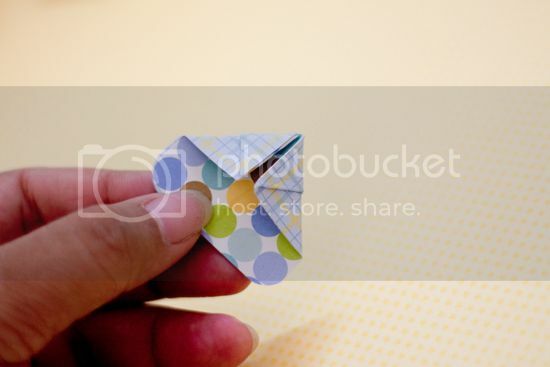 Fold the corners down of the top side, just like how you fold the 'paper airplane'. Do it for both sides. 8. Lastly, what you need to do is to open up, hold the ends and push it upward. Be sure to hold the ends as shown here. 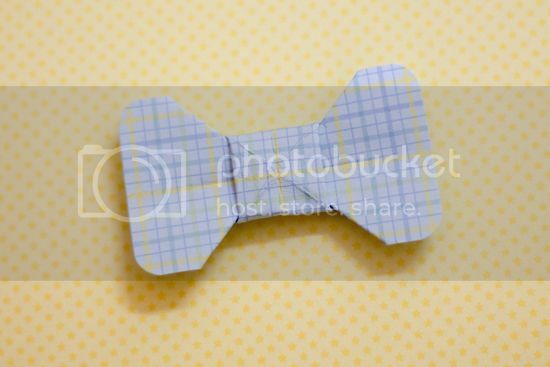 I embellished the centre of the paper bow tie with a button from the Snips & Snails collection. 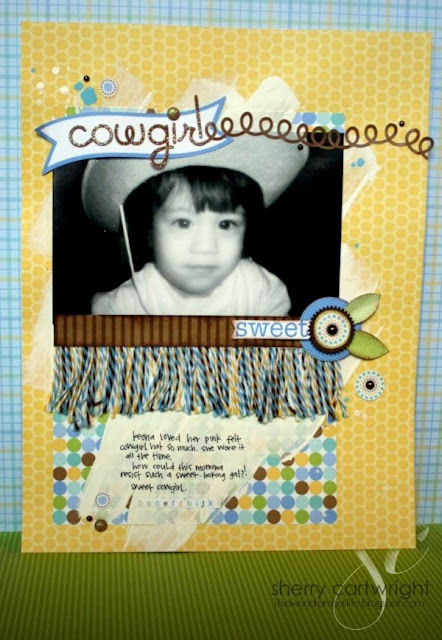 What's better then National Scrapbook Day with Doodlebug? 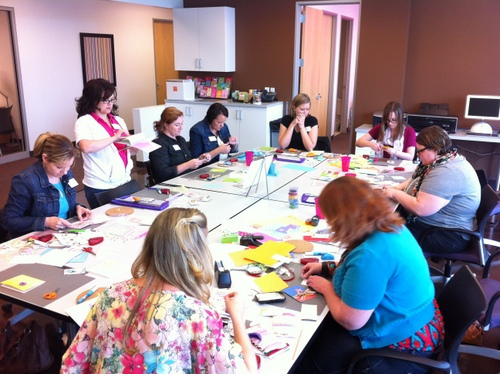 National Scrapbook Day with Stacy Julian coming to our offices to PARTY with you and the Doodlebug Team!! Each three-hour event will feature 3 rotations, including a lecture-style class with Stacy, a hands-on, create your own 8x8 album with Wendy Smedley and Doodlebug designers and a final hour to enjoy a delicious box lunch, delightfully fun make & takes and a special National Scrapbook Day store chock full of Doodlebug products at special prices. The product value alone for this event is $100 per student, plus there is potential prizes and instruction and personal time with Stacy Julian, Wendy Smedley and the Doodlebug Team! Our promotion time is short for these events, but we're excited to share this opportunity with you for only $50.00! Please note that registration is limited to 70 students per event. Due to the limited nature of the event, cancellations are not allowed. Questions can be directed to allison@stacyjullian.com. But if you can't join us at Doodlebug, then join us for the FREE Big Picture online Creative Crop event starting at 9:00am PST on May 5th. Click here to learn more details and how you can participate!! Sorry that this post was blank earlier in the day...Blogger is on vacation this week for some reason!! 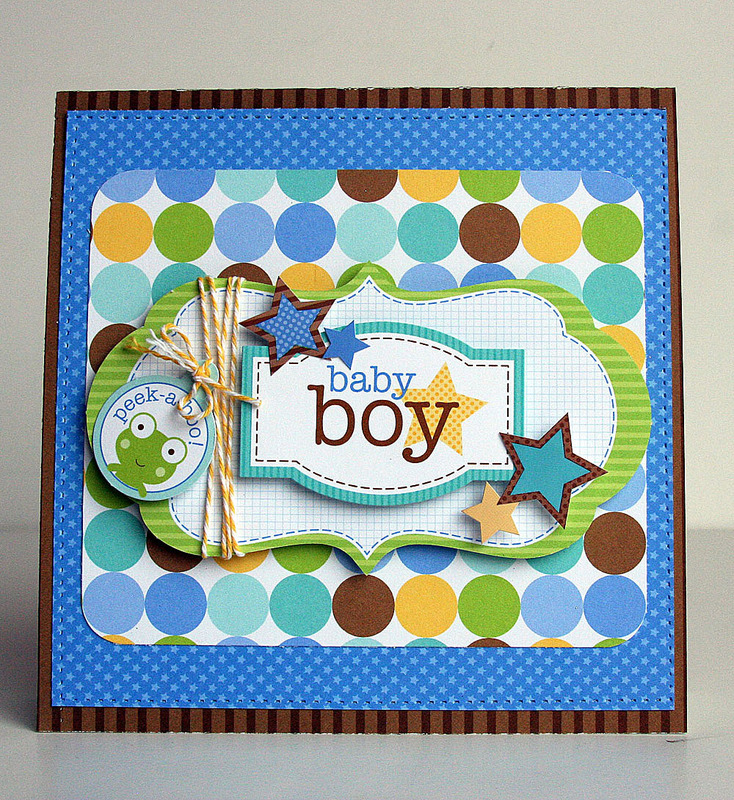 Supply List: double side cardstock -pat a cake, nighty night, snips & snails, cheery o's, hangin'out (baby boy), 6x6 paper pad, cute cuts-cardstock die cuts, banner cardstock stickers, icons cardstock stickers, fancy frills cardstock stickers, star brads baboy stars, mini pearls baby bou assortment, boutique buttons, doodle twine, Jack&jill alphabet rub-ons. Even though my sons aren't exactly babies any more, I still loved this line for creating a scrapbook page about them. 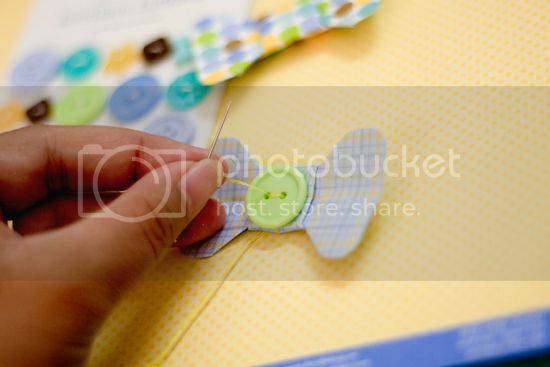 I was inspired by the overalls sticker and the plaid paper, which made me think of these pictures of my cuties all dressed up for Easter last year. Thanks to all the fun stickers, die cuts, buttons and pearls -- this layout came together so easily! 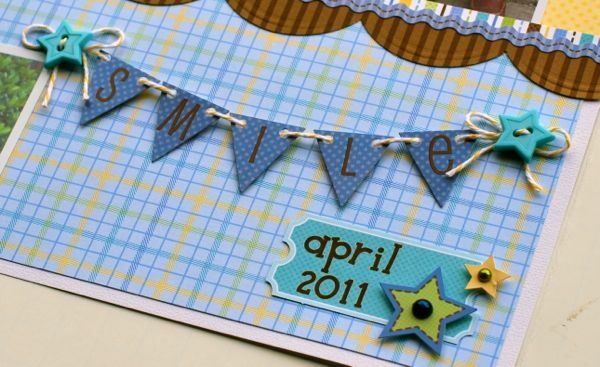 Supply List: Snips & Snails Rubber Ducks Paper; Snips & Snails Little Boy Blue Paper; Snips & Snails Pat A Cake Paper; Snips & Snails Icons; Snips & Snails Cute Cuts; Snips & Snails Fancy Frills; Snips & Snails Party Banner; Baby Boy Boutique Buttons; Baby Boy Mini Pearls; Jack & Jill Brown Alphabet Rub Ons; Baby Boy Doodletwine. We wanted to make sure you didn't miss out on the great Tuesday Tutorial that we posted yesterday on the blog. If you missed it, be sure to check out Stephanie's darling home decor piece. 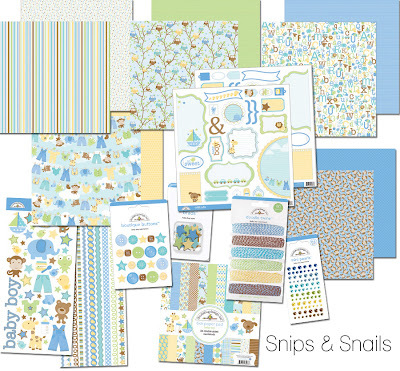 Supply List: Snips & Snails Pat A Cake papers, Snips & Snails Monkey Business papers, Snips & Snails Little Boy Blue papers, Doodle Twine Baby Girl assortment, Icons Snips & Snails, Snips & Snails Hangin’ Out Baby Boy papers, Doodle Twine Boy assortment, Fancy Frills Snips & Snails, Snips & Snails Nighty Night papers, Snips & Snails Cheery O’s papers. -- I brushed on some white paint and dropped white ink and blue paint splatters. This allowed an area for journaling as well. -- I placed pieces of doodle twine to masking tape to make fringe. -- I cut smaller circles and leaves from patterned paper in collection to help doll up the layout. 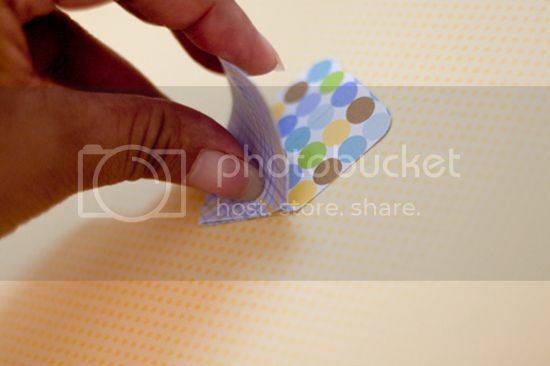 -- Fancy Frills loop cardstock sticker mimics the curls of a rope. I had so much fun creating this layout! The papers, the embellishments ... they are all so very cute and beautiful I almost couldn't decide what to use and just kept adding to my page! Hope you like it! 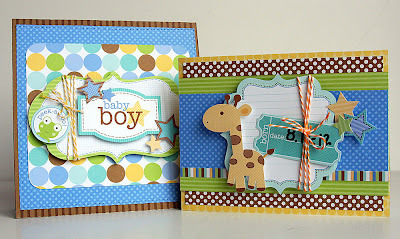 Supply List: Patterned Paper, Cute Cuts, Cardstock Stickes: Snips and Snails; Mini Pearls & Star Brads: Snips and Snails, Baby Boy Assortment; Doodle Twine: Boys Only; Letter Stickers: Jack & Jill. 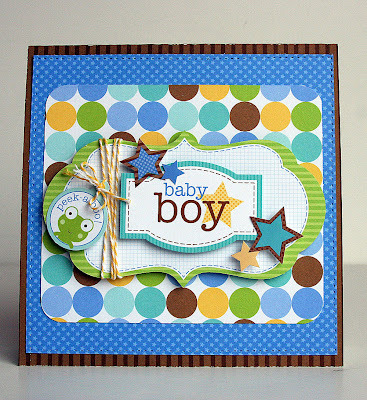 Having a new baby boy in the house made the Snips & Snails Collection oh so tempting to me, with all it's cute papers and embellishments it was super easy to put this collection to good use. Doodlebug to display in there for him to look at. 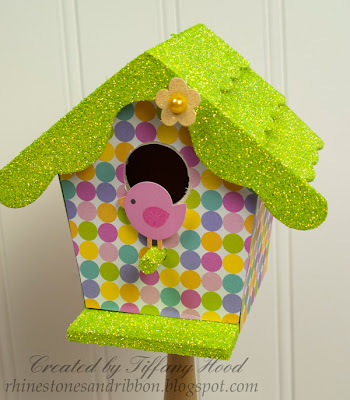 It's a very simple project and didn't require many supplies at all. 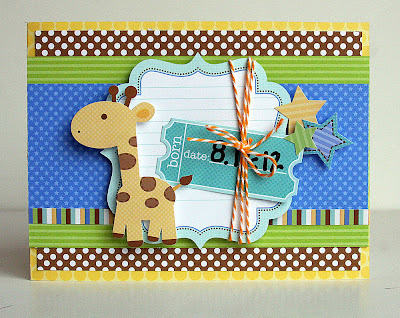 For this one I used the snips and snails double sided cardstock (nursery stripe, using the alphabet side), and the Snips and Snails 6x6 paper pad. 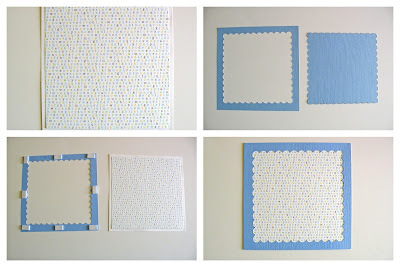 First cut the nursery stripe double sided cardstock into a 7x7 inch square, and set aside. Then using a die cut machine cut your scallop border to 6x6. Removing the center piece and trimming the outside shape to 7x7 making sure it is equal on all sides. 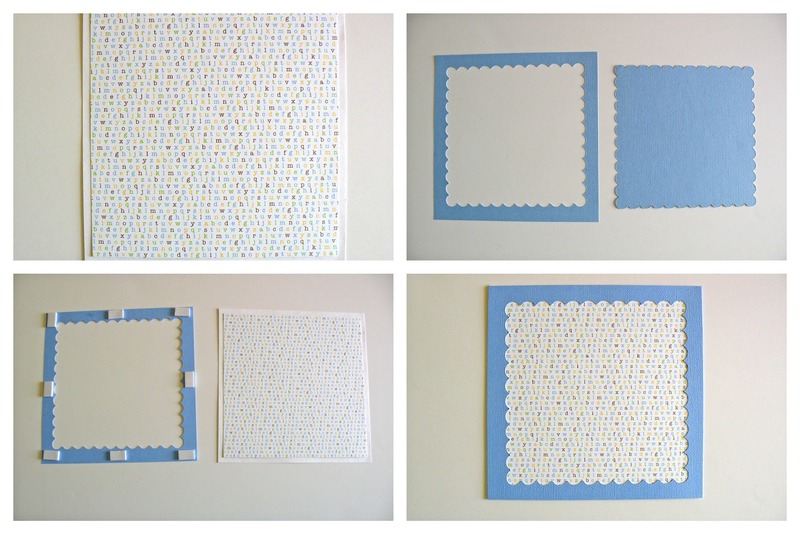 Place foam dots on backside of your border piece. 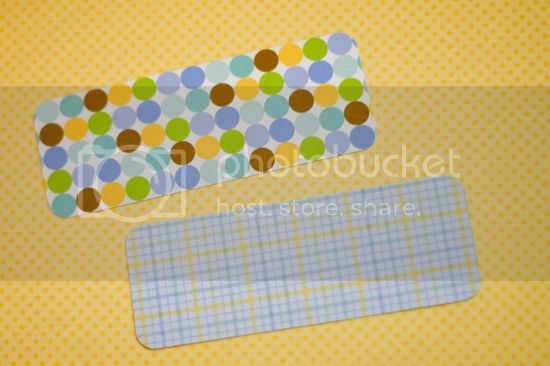 Adhere it to your 7x7 square piece of nursery stripe double sided card stock. Now for the sailboat, I just cut the shapes to make it by hand but you can also use a die cut machine. 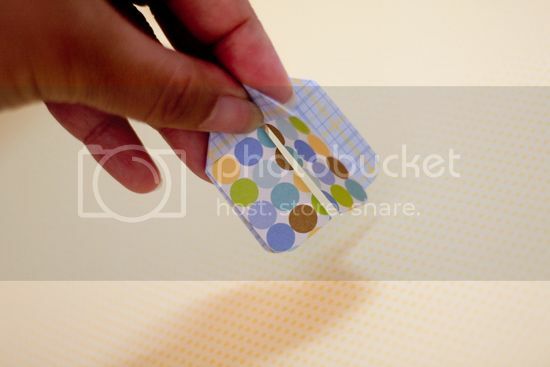 (if making on a smaller scale, you can always just use the sailboat sticker to make things easier). I wanted my sailboat to look like the one on the Snipe & Snails Icons cardstock stickers sheet so I just went with the papers in the 6x6 pad that matched the closest. Once you have your shapes, piece together your sailboat and circle. Then sew around the circle and desired areas of the boat and add your flag. On reverse side of your boat circle place your foam dots to make it pop up. Make your banner using the 6x6 paper pad then place the word "Boat" on it using Doodlebug alphabet stickers, or cutting then with the die cut machine like I did here using the matching paper also from the Snips and Snails 6x6 paper pad. 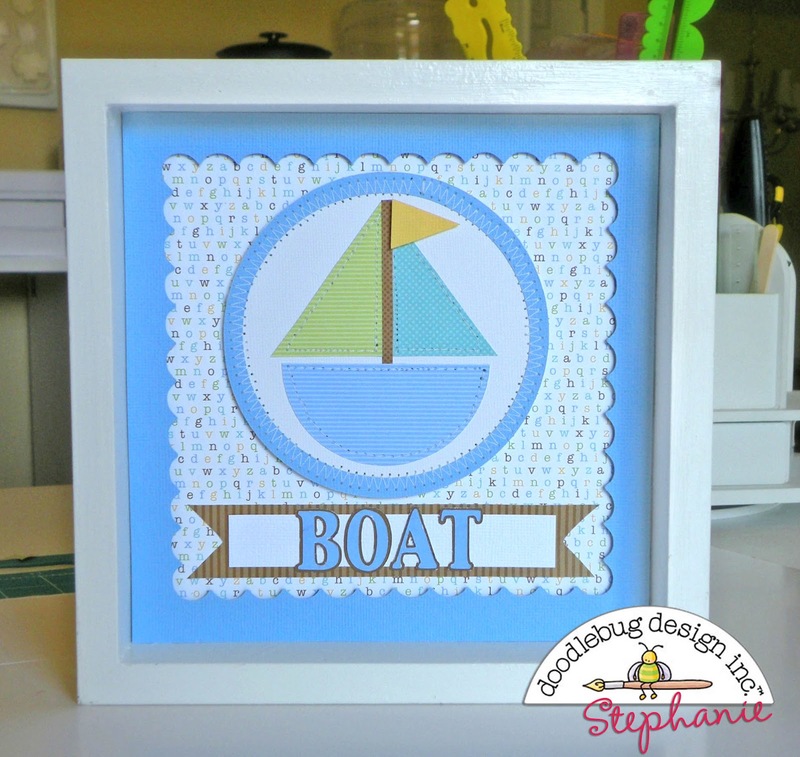 Adhere boat banner first to your 7x7 square so it is easier to center your circle. Now place it in your 7x7 wood frame ( I just used one that I had around the house) and you're finished! Thanks for stopping by to visit today, hope you enjoyed it! 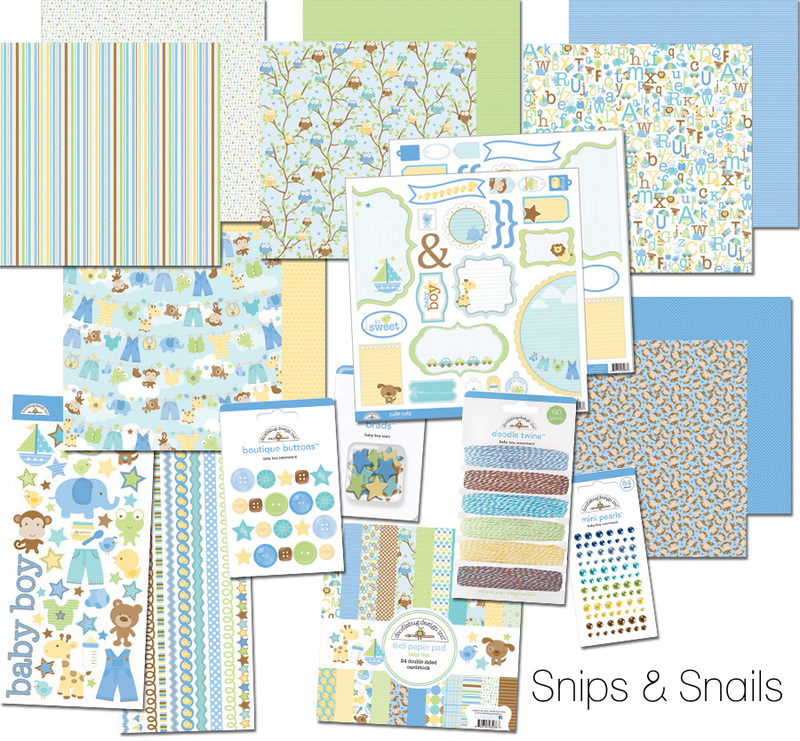 This week we will be featuring the new Snips & Snails Collection. Not only is this the perfect collection for those handsome new arrivals joining your family now or in the past, but this collection has the same awesome Doodlebug colors that will make it one of the most versatile collections to date. Be sure to come by the blog each day to see our design team's inspiring ideas. 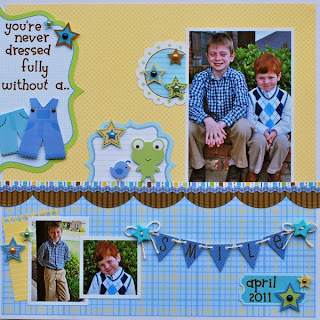 Be sure to jump over to the Doodlebug website to view all the items created for this great new collection.